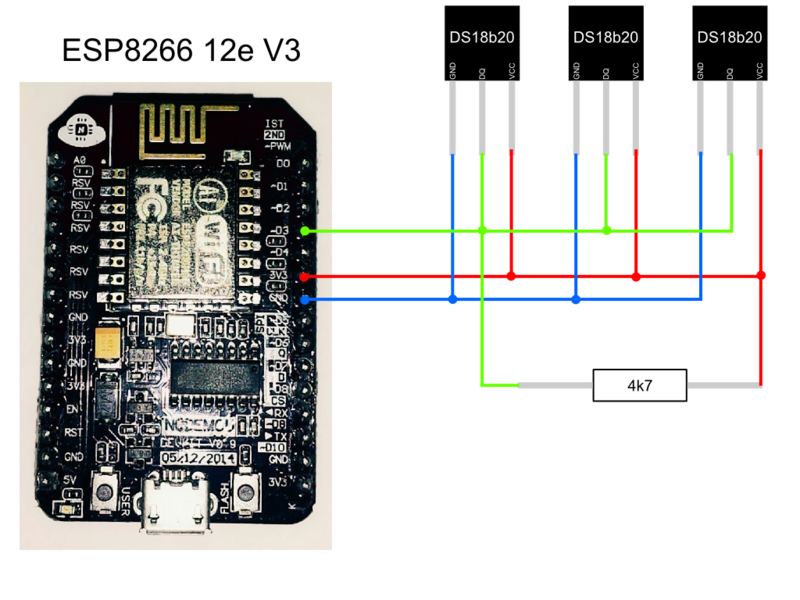 ESP8266 and multiple temperature sensors DS18b20 with HTTP server. I will show you how to make a remote temperature reading. You will be able to connect multiple temperature sensors DS18B20. Temperature measurement will be the HTTP server on ESP8266 12e V3. Source code was written in the Arduino IDE. This project can also see here. You can download Arduino IDE from here. In this project, I am using the Arduino IDE 1.8.1 Before you upload the software to ESP8266, setup your WiFi connection. Connect your ESP8266 to PC via USB port. Select COM port with your ESP8266. Press upload button in Arduino IDE. ​Open serial monitor in Arduino IDE. ​Get your server IP from serial monitor. Now open WWW page in your browser. I connect three temperature sensors to my ESP8266 12e V3. Measuring the temperature every 5 seconds, but you can change this value.